Task-wise, it’s been a quiet week. Some things go up by themselves, like stats and comments. Some things I’m working on, like reading a book. Some things I need help with, like more suggestions of tasks for my list – but please, people: no more vegetables. I did complete a task – I can now upload photos from the camera to the computer. I’m rather proud of that one, given my techneptitude. That’s five tasks of forty-nine (needs to be 101) completed in four weeks. Not bad going. I have visited several new blogs in the past month, many because of Napowrimo. I forgot to record details, however, so the tally is officially only two. Perhaps ‘improve my organisational skills’ should be added to my list. I wrote twenty poems last week. That takes me over half way and I still have two and a half years to go; I may need to re-think that task. Task no. 50: Live a more interesting life. The good news is that Sarsm, whose idea this all was, has possibly persuaded another two people to join us. Yay! Another sixteen and we can start our own cult. Go and check her progress – she’s panicking; it’s hilarious. I hope to get this update in under the wire. I’ve had a busy day and you’ll hear about some of it tomorrow. I did that tonight; well, she hugged me, but in the nicest way. I’ll tell you more tomorrow. A wash-in-wash-out shampoo but it’s the bravest I’ve been with my hair since 2003. Honest; I swear. But then I got the email to say the readwritepoem anthology for napowrimo has gone live and it looks so good I had to share it. Find it here. I’m on page 20 (or 34-35 if you use the bottom bit). It’s well worth a look – where else can you read a whole book of great poetry for free? 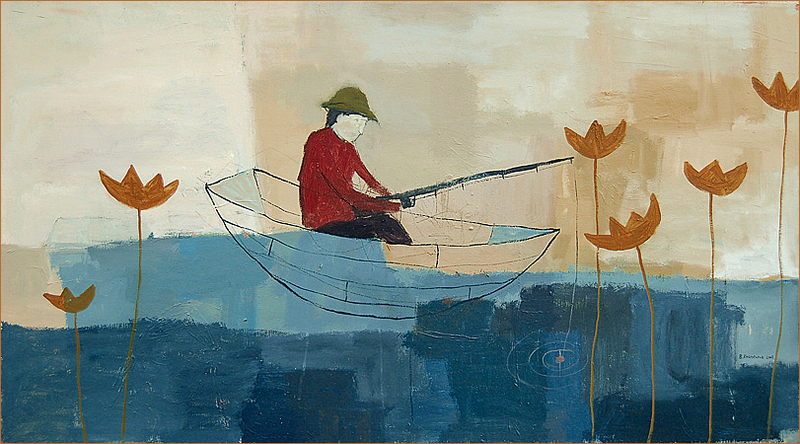 Vane Kosturanov: FISHERMAN You can check out the artist here; I didn’t know of him until yesterday but I love his work. Fish sits in his bowl. Mouth opens. Wide. He swims side to side. Feed me, he says. Feed me today. Feed me. Feed me. Feed me again. Fish is a bully; he feeds on her guilt. He swims round his fake castle, fake flowers, fake lake. Left side right side front side back side. Forever the same view, same home, same space. Feed me, he says; feed me again. Fish is a parasite. Fish is bored. Fish is alone. Fish must wait for his manna from woman. WAG waits in her opulent home. Mouth opens wide, her yawns become sighs. Need me, fame says. Need me today. Need me. Need me. Need me again. Paparazzi are bullies; they feed on her gilt. She swans round her fake castle, fake marriage, fake love. (secreting the fee for an uncertain future; she has hate expectations). Need me, fame says. Need me again. for the rich man who made her his woman. I got two pieces of good news yesterday: I passed my interview and I start my work placement on Monday; and I won £100 worth of shopping. I am a little relieved about the interview because it could all have gone horribly wrong: I went to freshen up beforehand and there was an incident in the public toilet. I can’t give you details because I have embarrassed my sons enough and Tory Boy is still hoping for a career in public service; it all worked out for the best in the end, is all I can say. The competition was run by my landlord, Stockport Homes. A woman phoned to say I had won for this area in their ‘shop local’ competition. I had to say in 100 words why I use my local shopping centre in Castle Street; it was part of the ‘use them or lose them’ campaign, as independents are being squeezed out by big business. Think about it: you can buy your groceries, your furniture, your clothes, your pet needs, your insurance, your lunch, and pretty soon your bank services from Tesco; and you can get it cheaper than any single shop can offer you. Sounds good, but will you think that when the next general election is sponsored by Asda? The candidates will have to start the day with a group hug and a yoghurt. Makes me queasy just thinking about hugs that early in the morning. I have to spend the money in the local shops and claim it back. I’m not sure how it will work because the lady promised to send me an email with the details and I’m still waiting. Could it be cat-and-mouse, Stockport Homes style? We promise you something great – money, a kitchen – and then you never hear from us again. I still miss napowrimo so I am going to take part in some weekly poetry prompt exercises. This first one is from http://rallentanda.blogspot.com/ We have to write a poem inspired by Feet Beneath The Table by Charles Blackman, 1956. Alice – louche, right-eyed and pushy. There are no shivarees at this party. Truth huddles, sad, like long-held pain. 1. A mock serenade with kettles, pans, horns, and other noisemakers given for a newly married couple. 2. An elaborate, noisy celebration. Two brothers, eleven and six. and Michael living in his head. Eleven – being eleven – ate John. Apologies for swearing; it’s not something I normally do now that I have learned to ignore my husband’s one or two hundred imperfections; but it seriously annoys me when I have to clean my dog and my shoes after walking him. I pick up my own poo; why can’t other people do the same? This is a recurring theme in my life. Just yesterday, a little girl spotted the plastic bone on Toby’s lead that holds the poo bags and she told me I was ‘a good lady.’ I think I am; in this instance, anyway. I don’t know how dog owners can be so lazy; it’s disgusting. I lost count of the times that Spud would toddle beside me when I took Tory Boy to school, then topple over into a steaming pile of irresponsibility. Fortunately, there was a large bin on the way so I was able to strip off his keks and chuck them in. Not so bad in summer, but his little legs turned blue in winter. In case you think I’m cruel, I always had his pram and blanket with me but he would not get in and covered up. That child loved to walk everywhere. At less than two years old he spent fourteen hours in Blackpool on a family day trip and we used his pram to carry the junk people always buy/win in seaside resorts because he refused to be wheeled. 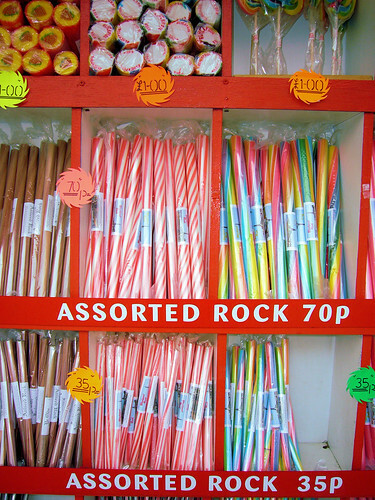 Except for one larcenous half-hour at the fun fair: we walked through the shop, looking at tat, and it was only when we got back to the car that we discovered he had snaffled three sticks of rock from one of the low shelves. He did a similar thing in Mothercare when he was eighteen months old, but that time it was a pack of plastic ducks for his bath. I’m raising a villain. I got an email this morning to say I have had two poems accepted by Four and Twenty, an American ezine. 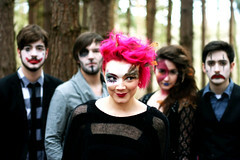 Their requirements are for poems no longer than four lines and/or twenty words – right up my street. I would share the poems here but Four and Twenty now have first publication rights so I will have to wait until the end of July. fling and not get caught?